Designed to withstand the most rigorous enviroments of industrial and commercial usages. Ideal for loading bay lifts in retail stores to prevent ingress of rubbish and debris into the lifting mechinism. 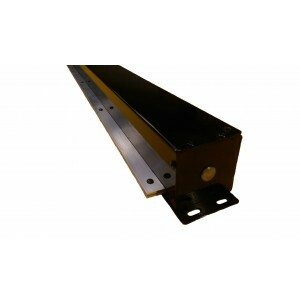 Our heavy duty range of roller covers are available open or enclosed to protect the roller. Manufactured from metal components these are designed more robustly to withstand the degradation of heavy engineering swarf and environment. With a full range of colours to choose from and the abilty to print directly onto the material we are able to incorporate your company colours and logos into the design.